SWAC Women’s Player of The Week Joyce Kennerson has been scorching baskets all season, averaging better than 25 points. Texas Southern’s Harry “Machine Gun” Kelly was of the greatest scorers in HBCU and NCAA basketball history in the late 1970s and early 1980s. Three-and-a-half decades after his departure it looks like TxSu has another scoring master on its hands. Joyce Kennerson is setting college basketball on fire, ranked second in Division I women’s basketball in scoring at 25.3 points per game. 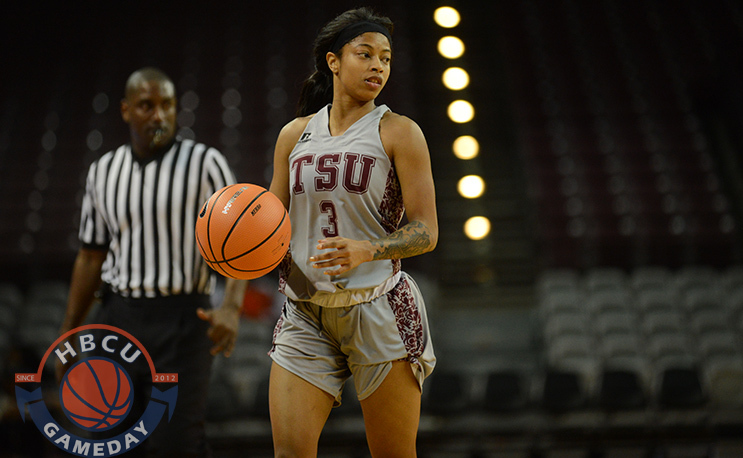 Kennerson was named SWAC Player of The Week on Tuesday after she averaged 32.0 points and 7.0 steals per game and joined Texas Southern University’s 1,000-point club while leading the Lady Tigers to a pair of wins last week. For the second time in as many weeks, Kennerson set a new career scoring high as she torched Sam Houston State for 35 points on 13-of-18 shooting; the junior from Port Arthur made five of her eight 3-point attempts against the Bearkats, which included the 3-point basket that pushed her over the 1,000-point mark with 4:31 left to play in the first half. For good measure, Kennerson also recorded a career-high eight steals at Sam Houston State. In Monday’s contest against Wiley College, Kennerson overcame two quick first-quarter fouls to score a game-high 29 points and lead the Lady Tigers to their first winning streak of the season. Kennerson connected on six of her eight 3-point tries, including three in a row on consecutive possessions in the second half. For the week, Kennerson shot 69.7 percent (23-of-33) from the field, and drained 68.8 percent (13-of-18) of her 3-point tries. She also averaged 4.0 assists per contest, which included five in the win at Sam Houston State.